In February, six GBSF fighters from London Savate and CAMA travelled to Budapest to compete in the second Budapest Open, hoping to display once more the strengths of British Savate in the international arena. Cannists Morgan Alexander, Stuart McIntyre and Merlin Hartley and translator Agnès Aubert travelled to a very snowy Paris in January this year to take part in the team event. “We had a great time in Paris with a fantastic and friendly atmosphere both during the competition and over the whole weekend. The fights were well organised and there was a high level of sportsmanship, as well as the opportunity to watch and to fight against top tier cannists. Great Britain sent one fighter, one coach and one official to Clermont-Ferrand, France early in June 2013 to participate in the World Championship Eliminations 2013 in Savate Combat. Despite not winning his two poule matches on the first day, Judah Wheeler fought bravely against opponents of a high calibre. Jasbir Nagi displayed excellent refrereeing skills as the third man in the ring in some fast and furious bouts. During a blustery January three British fighters braved sub-zero temperatures and crossed the icy tundra into Hungary to participate in the first Boxe Francaise Savate Budapest Open. The event was co-hosted by The University Boxing Club’s instructor Viktor Lovász and visiting instructor Alain Tardits. Despite snow and cold the weekend offered more than enough opportunities to keep bodies warm and kicking in the deep mid-winter. 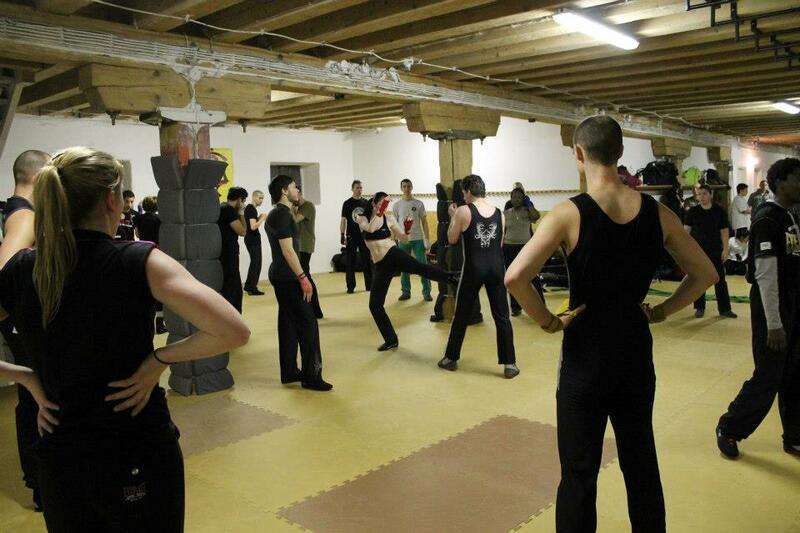 The GBSF has a good relationship with Savate Ireland. On several occasions Savate Ireland have travelled to the UK to attend and support our events. We were lucky enough to be asked to return the favour. And so, a small contingent of seven GB fighters flew to Ireland for a competition on November 24th 2012, hosted by Savate Ireland and White Tiger Martial Arts. Six fighters from the GBSF competed in the Coup D’Opale in Calais on the 3rd November 2012. All won Assaut matches on the day and enjoyed the junior matches and Combats on show in the same meeting. On 27th October 2012 three members of the GBSF ventured over to Schorndorf, Germany to the Halloweenturnier competition hosted by Savate-Club Buhlbronn e.V, led by Ari Papadopoulos. Judah Wheeler (M 85kg+), Tom Handley (M 75-80kg) and Siân-Marie Clark (F 52-56kg) all fought well, against a range of opponents from World Silver medallist to novices. Overall they won one Gold and two Silver medals! The GBSF sent a team of eight fighters, two coaches and two officials to compete in the World Championships in Savate Assaut, in Bulgaria. Morgan Alexander and James Antill won Bronze medals, and officials Jasbir Nagi and Carl Hamill were selected to officiate for the finals. The Equipe de Grande Bretagne consisted of fighters Jon West, Stuart McIntyre, Merlin Hartley and Morgan Alexander, and Official and team translator Agnes Aubert. At the ungodly hour of 5.30am Morgan Alexander (Mogs) and I caught the first of several trains from Cambridge for Nante, in the Loire Region of France. The British Savate Assaut Championships 2012 were held on Sunday 8th July at the iconic Maida Gym in Aldershot. Spectators witnessed a first class day of Savate Assaut action, including British Championship bouts and a full schedule of novice, international and non-title fights. We were especially pleased to welcome athletes from Ireland who competed in contests with British athletes. Bouts ran almost continuously from 11.30am to 6:00pm, with the only break being for an impressive display of Canne de Combat by Jon West and Morgan Alexander.